Allow your customer to change variations in cart itself. No need to remove / re-select / add to cart! 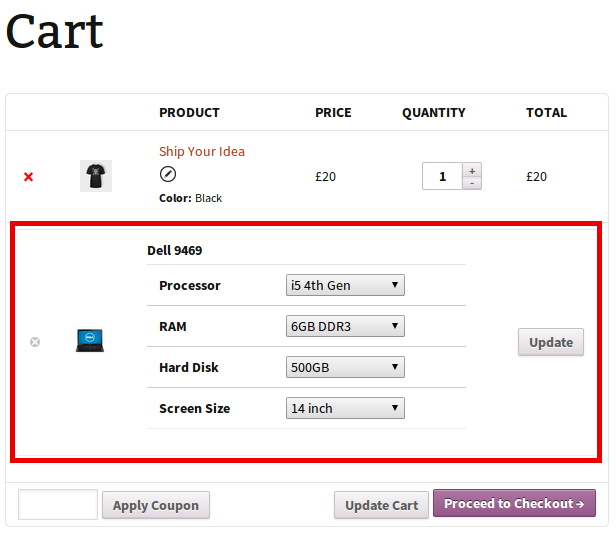 WooCommerce Update Variations In Cart is an amazing extension that allows customers to change product variation attributes in cart itself.For example, customer buying a t-shirt can change the colour, size, pattern or any other attribute right from the cart – without disrupting the flow! This above process is tedious, time consuming and might just lose a sale for you. 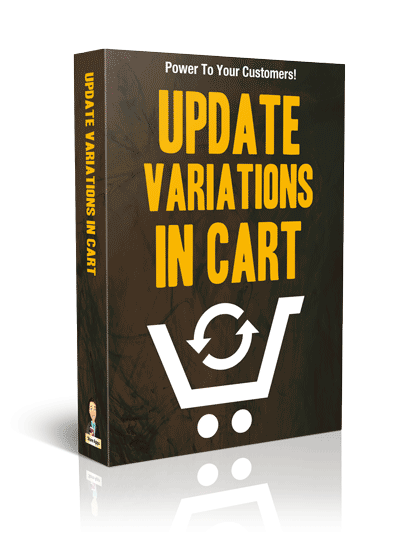 WooCommerce Update Variations In Cart, is here to make your customer’s life a lot easier. 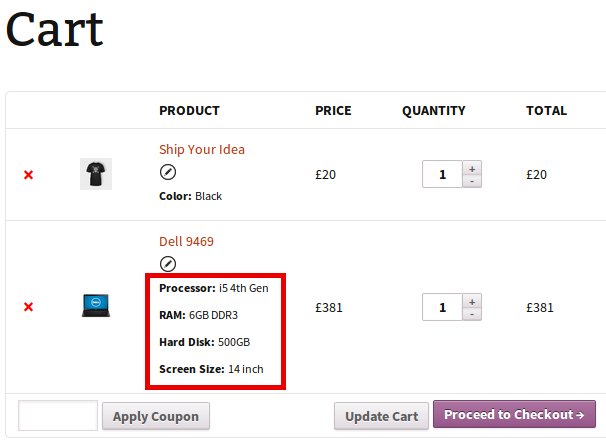 Add this great add-on to your WooCommerce store & give your customer ‘power to change variation in cart‘. It’s a powerful add-on for your WooCommerce powered store, as it allows your customer to change variations of multiple products in cart on click of a link. Works with subscripiton products too – like if a user has added a single year license and wants to change it to 5 years, he can do it from the cart itself.